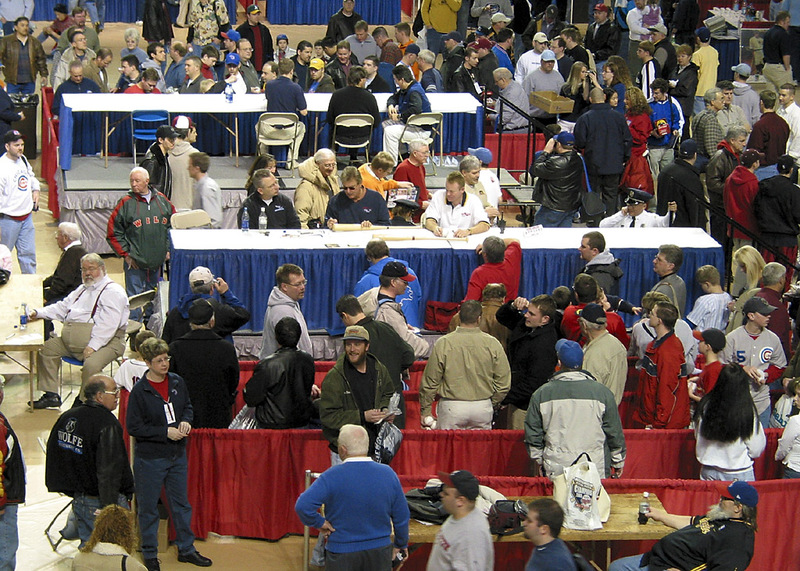 Iowa Cubs Fanfest 2004 Snap-shots. 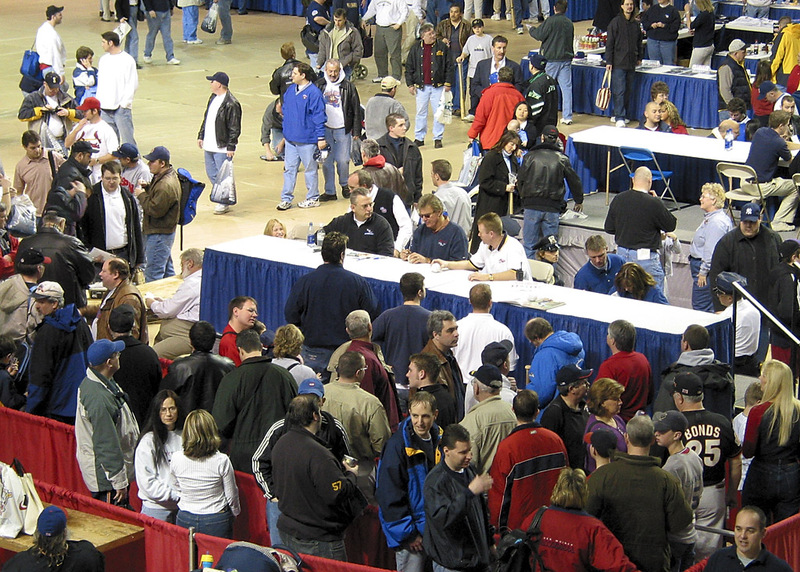 Large crowd of eager fans line up for autographs during Iowa Cubs Fanfest at Drake University Knapp Center in Des Moines, IA. Large crowd of eager fans line up to get autographs at Drake University Knapp Center in Des Moines, IA. 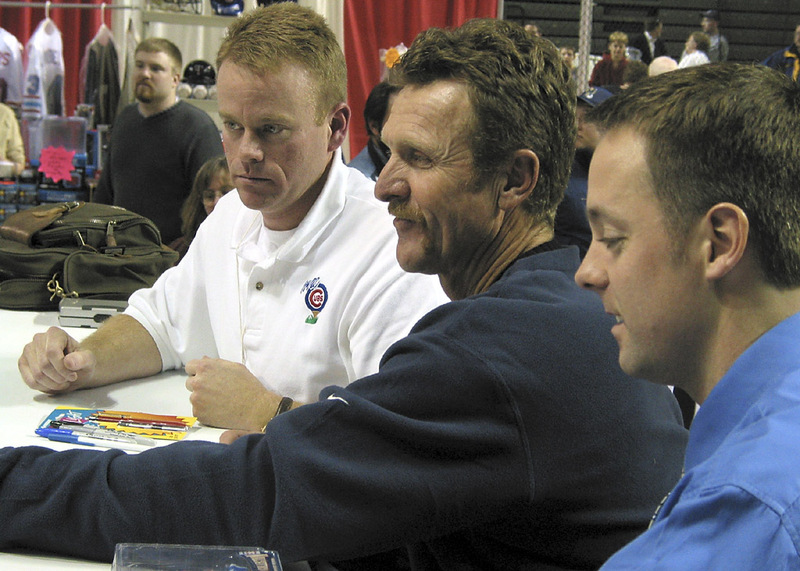 Hall of Famer Robin Yount signs autographs on Friday night Jan. 30, 2004 at Drake University Knapp Center in Des Moines, IA. 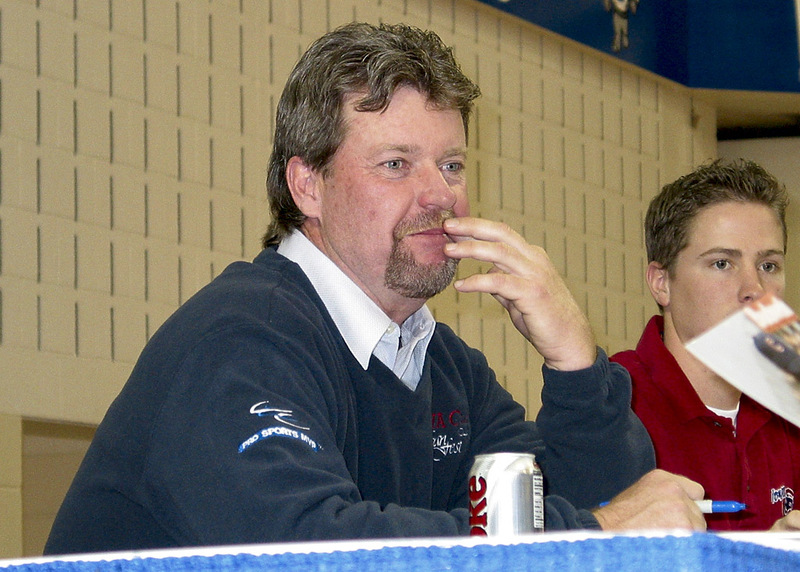 Cy Young award winning, ex Chicago and Iowa Cubs pitcher Rick Sutcliffe signs autographs on Friday Night Jan. 30, 2004 at Drake University Knapp Center in Des Moines, IA. 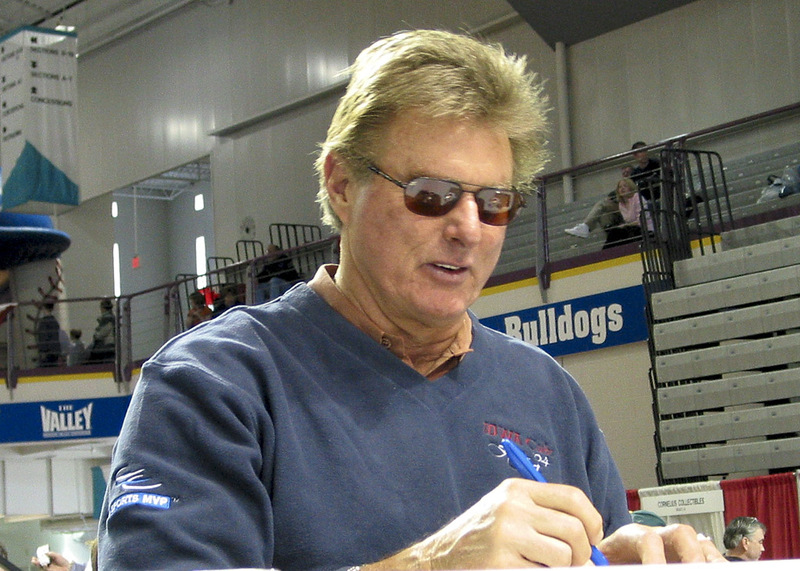 Hall of Famer Steve Carlton signs autographs on Saturday Jan. 31, 2004 at Drake University Knapp Center in Des Moines, IA. Hall of Famer Steve Carlton gives autographed ball to young fan on Saturday Jan. 31, 2004 at Drake University Knapp Center in Des Moines, IA. 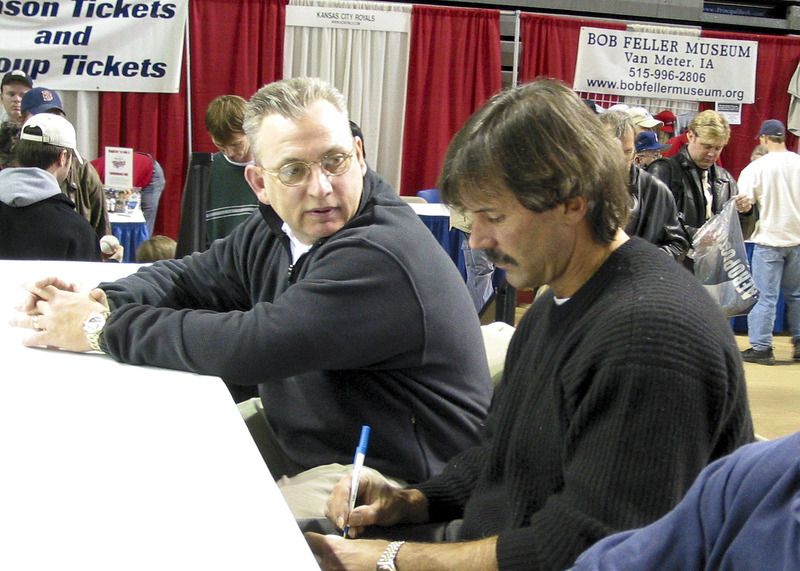 Hall of Famer Dennis Eckersley signs autographs on Saturday Jan. 31, 2004 at Drake University Knapp Center in Des Moines, IA. 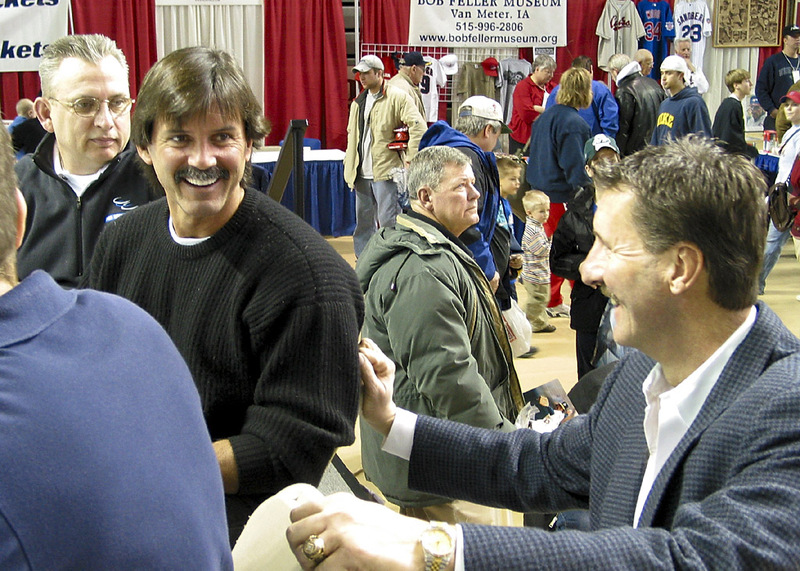 Hall of Famer Dennis Eckersley chats with Major League Umpire and West Des Moines resident Tim McClelland during Ia. 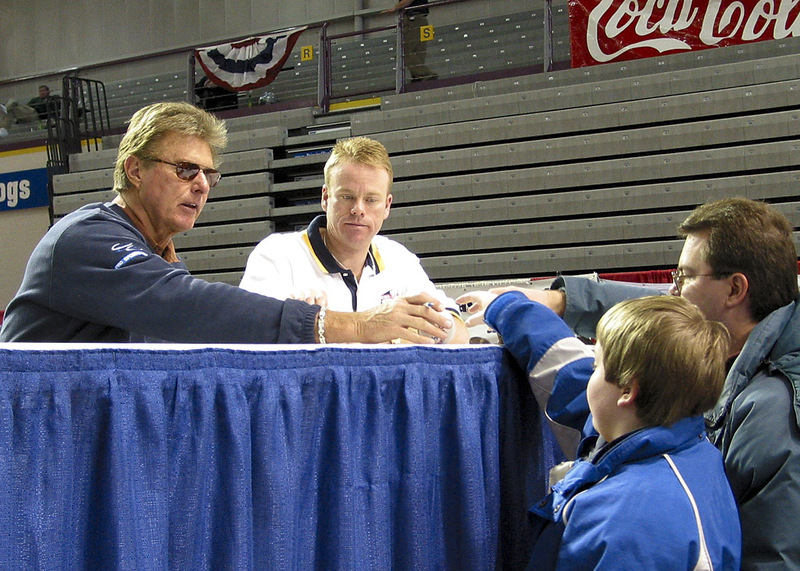 Cubs Fanfest Saturday Jan. 31, 2004 at Drake University Knapp Center in Des Moines, IA.